The recent Malaysia Region Conference 2018 sets another milestone with the launch of the mobile-first MOBY Sales Funnel Management Application (MOBY App). The Managing Directors and leader of each of the Operating Unit in charge of the respective brand franchises and operation signed a plaque to signify the commitment behind this platform. 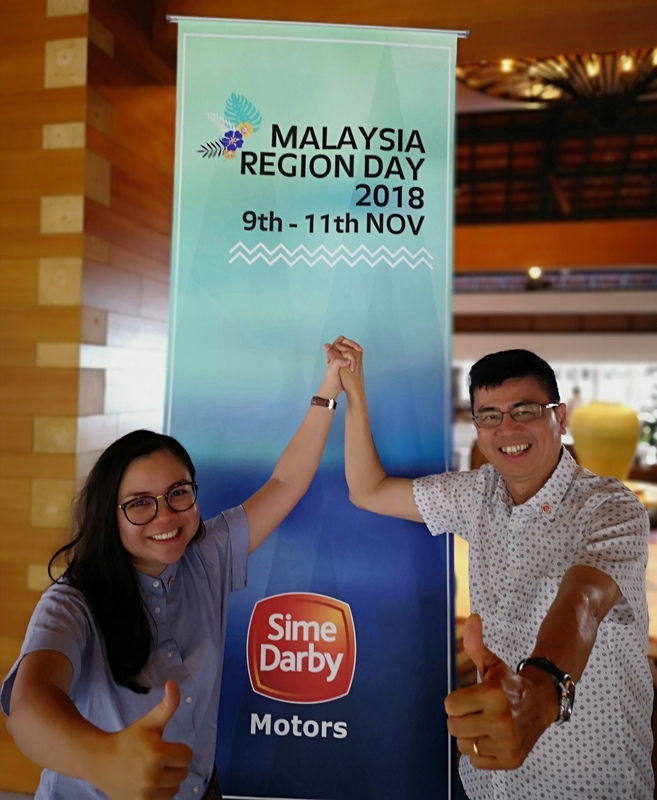 This will be a big leap forward in enhancing the customer journey experience with the brands under Sime Darby Motors Malaysia. Efforts in realising the true benefits of the Internet of Things (IoT) and plans on digitising our business through the MOBY App will act as an important touchpoint for a seamless customer experience for BMW, Ford, Jaguar Land Rover, Hyundai, Porsche, Hertz and Thrifty. This is carried out by moving our back-end system to the front – customer facing staff will be more connected, enabling them to be connected anytime, anywhere to real-time data to serve customers better. This initiative was envisioned by the Malaysia region a long time ago and was sped to its implementation stage early this year to meet the higher expectations of digitally savvy customers. “In this digitalised world, we realised a need to have a more systematic approach in recording and tracking sales leads which is accessible anytime, anywhere and is cost effective. The evaluation of systems was done and the mobile app platform was adopted instead of Salesforce which is the current CRM system. With that, we’ve taken the front foot to work hand-in-hand with IT to develop this customised mobile app which is called MOBY to meet this purpose,” said Ho San Li, Operations Controller for the Malaysia region, who is delighted that the MOBY App is ready to be launched in Malaysia, after Thailand. San Li who has been with Sime Darby for 10 years believes that the MOBY App will be an effective and economical tool to record, and track the lead management system which will accelerate employee efficiencies and enrich the overall customer sales experience. Through the MOBY App, the team has strategised the group’s digital roadmap to synergise new technologies with existing infrastructure, such as Brand Connect which will be upgraded to the 2.0 version app. With the correct infrastructure and commitment in-place with the respective OUs, this new ‘touchpoint’ will enable Sime Darby Motors Malaysia to focus and interact closely with its customers, who, in return for engaging experiences, will provide rich data to fuel analytics and drive lower costs and customer advocacy efficiently. The launch of the industry leading MOBY App aims to differentiate Sime Darby Motors Malaysia group of brands in the Sales Funnel Management System against competitors, and ensures the group continues to remain as the pack leader in its digitisation efforts. This will be quickly followed by the launch of the Aftersales Automation System, another class-leading initiative by our frontline management and staff, which will elevate us to the next level. Stay tuned for more updates.